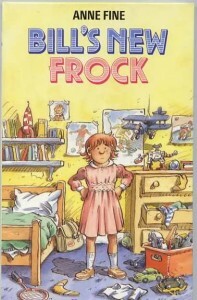 This resource provides a chapter by chapter list of questions for the Anne Fine novel “Bill’s New Frock”. The novel tells the story of Bill Simpson who wakes up one morning to find that he’s a girl, and worse still, his mother makes him wear a frilly pink dress to school. How on earth is he going to survive a whole day like this? These questions could be done orally, they could be used as comprehension questions or they could be used as a quiz at the end of reading the novel. A wordsearch based on the novel is also included. The novel is probably suitable for Rang I – III.